By Neal Gabler – The LA Times. Barbra Streisand just turned 74, which may make her a grande dame to the generation in which she came of age and quite possibly a relic to a generation of millennials who may scarcely know her, except possibly as their grandparents’ Adele. By BEN SISARIO – The New York Times. Of the thousands of lyrics, tapes and correspondence in the Bob Dylan Archive, one of the more intriguing items is a handwritten card from Barbra Streisand, postmarked November 1978, in which she thanks Mr. Dylan for sending flowers and suggests that they make a record together. “The more we support each other, the stronger we become,” said the performer who received the Sherry Lansing Leadership Award at THR’s Women in Entertainment event on Dec. 9. 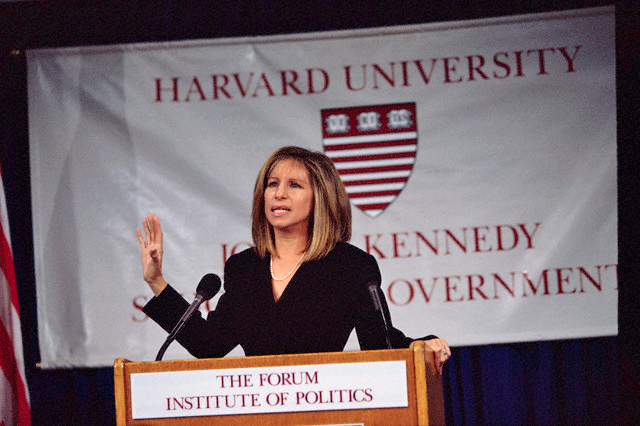 At The Hollywood Reporter’s 2015 Women in Entertainment breakfast Wednesday morning, Barbra Streisand encouraged women to work together — rather than against each other. News release issued by producer Gil Netter on PRNewswire, December 3. LOS ANGELES, Dec. 3, 2015 /PRNewswire/ — Barbra Streisand has come aboard to direct “CATHERINE THE GREAT,” written by Kristina Lauren Anderson, it is announced by Gil Netter who will produce. With Streisand helming and Netter producing, casting is now underway. 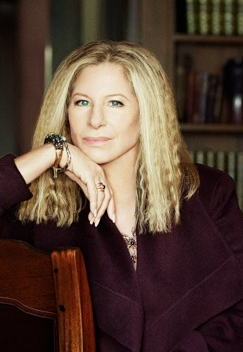 President Obama Names Recipients of the Presidential Medal of Freedom – Barbra included. WASHINGTON, DC – President Barack Obama named seventeen recipients of the Presidential Medal of Freedom. The Presidential Medal of Freedom is the Nation’s highest civilian honor, presented to individuals who have made especially meritorious contributions to the security or national interests of the United States, to world peace, or to cultural or other significant public or private endeavors. Jane Fonda, Meryl Streep and Shonda Rhimes. LOS ANGELES, CA—October 13, 2015— The Hollywood Reporter announced today that Barbra Streisand will receive the Sherry Lansing Leadership Award at its 2015 annual Women in Entertainment Breakfast. The VIP breakfast will take place December 9th at Milk Studios in Los Angeles. Broadway Cares/Equity Fights AIDS proudly announces that incomparable superstar Barbra Streisand will be the 2015 addition to its Broadway Legends holiday ornament collection. By Charlotte Cowles – Harpers Bazaar Magazine. Barbra and James among those lowering California water usage.